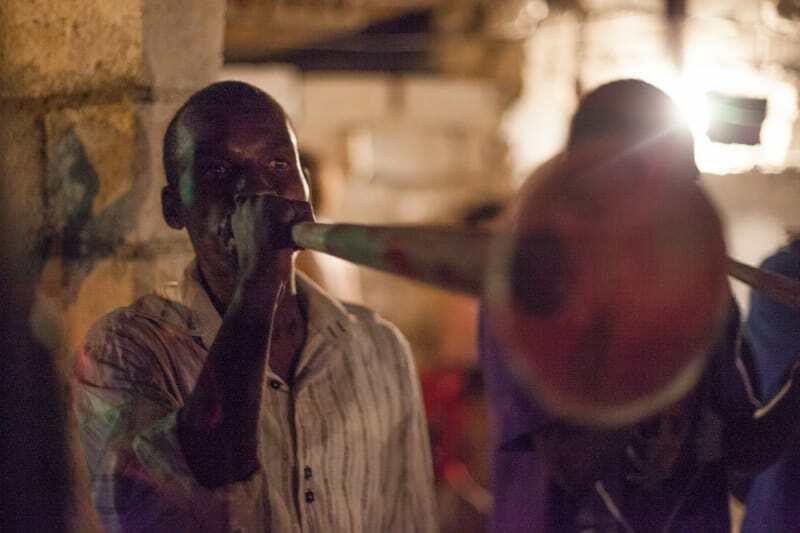 During my visit to the 2013 Ghetto Biennale, I witnessed rara music in the streets of Haiti. Already researching Sun Ra’s visit to Egypt in the early 70’s, I discovered that the jazz legend had visited Haiti ten years earlier. It was in Port-au-Prince that he composed his masterpiece Rocket Number Nine, a track that bears striking resemblance to the traditional rara song Fize nimewo nèf. In November 2015, I invited the rara band Kod Kreyòl to rehearse the forgotten track Fize nimewo nèf. They subsequently performed it at Lakou Twoket in downtown Port-au-Prince. Sun Ra Ra was commissioned by the 4th Ghetto Biennale in Port-au-Prince, Haiti.